Cadiz, KY – I’ve spent several days this week, riding the Harley around the beautiful Lake Barkley area in Cadiz, Kentucky. If you’ve never had the opportunity to ride through here, I would highly recommend you make it a point to do so. You’ll find the Natchez Trace Parkway that runs through the Land Between the Lakes National Recreation area and beautiful Kentucky back roads to travel. 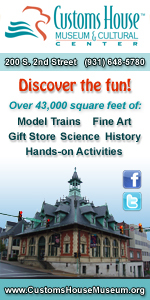 The fantastic Barkley Lodge and Kenlake State Resort are must see destinations! 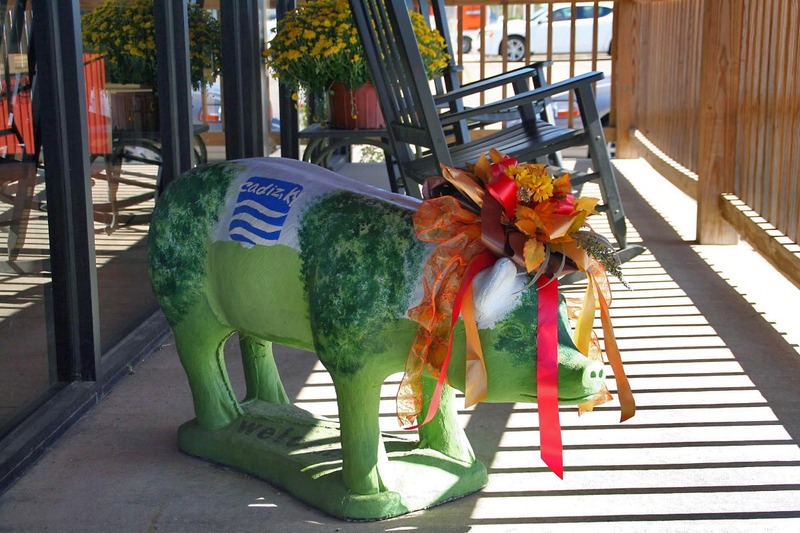 As I was riding in and around downtown Cadiz, I kept noticing these pigs. 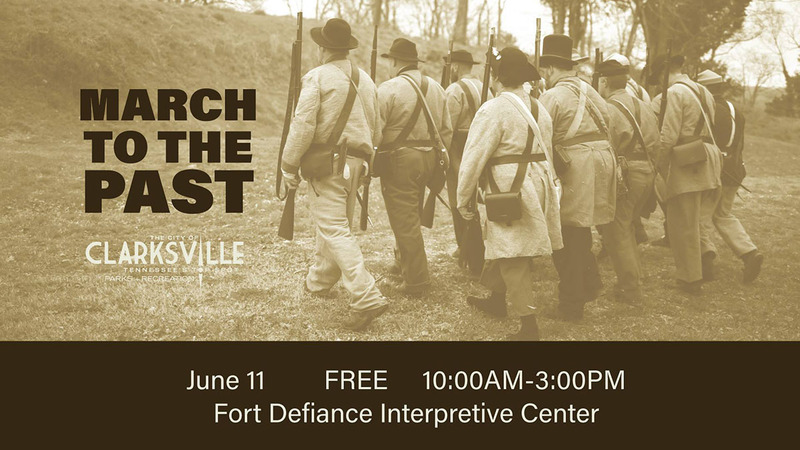 Clarksville, TN – The Friends of Fort Defiance is excited to announce the date for this year’s March to the Past fundraising event to be held Saturday, June 11th from 10:00am – 3:00pm at the Fort Defiance Civil War Park and Interpretive Center. 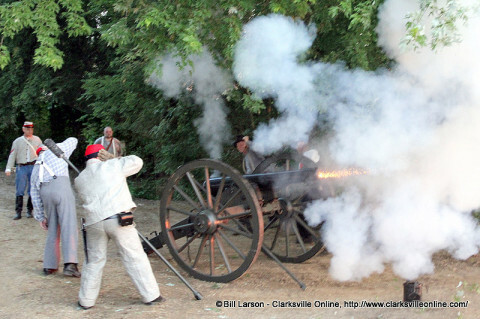 Live demonstrations of quilting, firing, and camp life will be sure to give the community a clear depiction of the Civil War era. Land Between the Lakes, KY/TN – The Homeplace 1850s Working Farm and Living History Museum celebrates its 37th Anniversary, Saturday-Monday, October 10th, 11th, and 12th, 2015. The Homeplace will host Stewart County Arts and Heritage Council’s “Tennessee Wilderness River Region Quilt Festival,” a quilting bee, woodstove cooking, and more. General admission to the Homeplace is $5.00 ages 13 and up, $3.00 ages 5-12, and free for ages 4 and under. Trenton, KY – On Saturday. 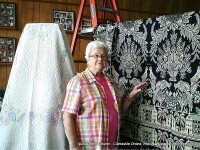 June 27th, a quilting tradition was continued in Trenton, Kentucky. Quilts both old and new were offered for viewing during the huge annual yard sale and heritage day festivities. 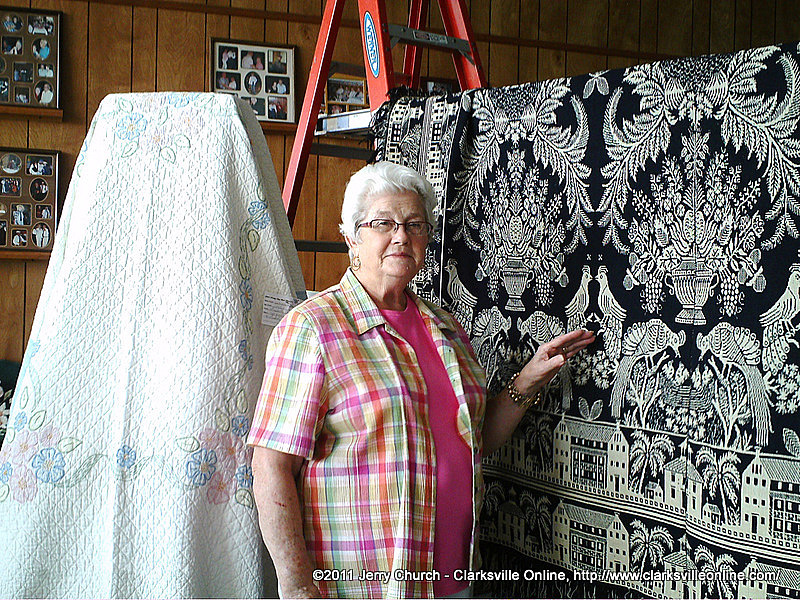 Viewers were amazed to find quilts that were over 100 years old and ultra modern quilts in the same show. 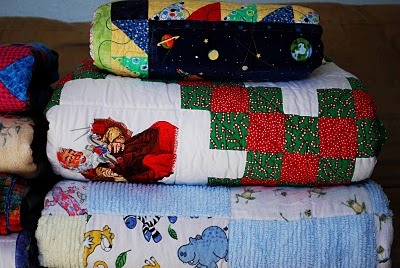 Samples of projects from this year’s Color Class, which was offered at Quilt and Sew at Golden threads, were proudly displayed, as well as beautiful traditional quilts which were loaned to the show by local residents. 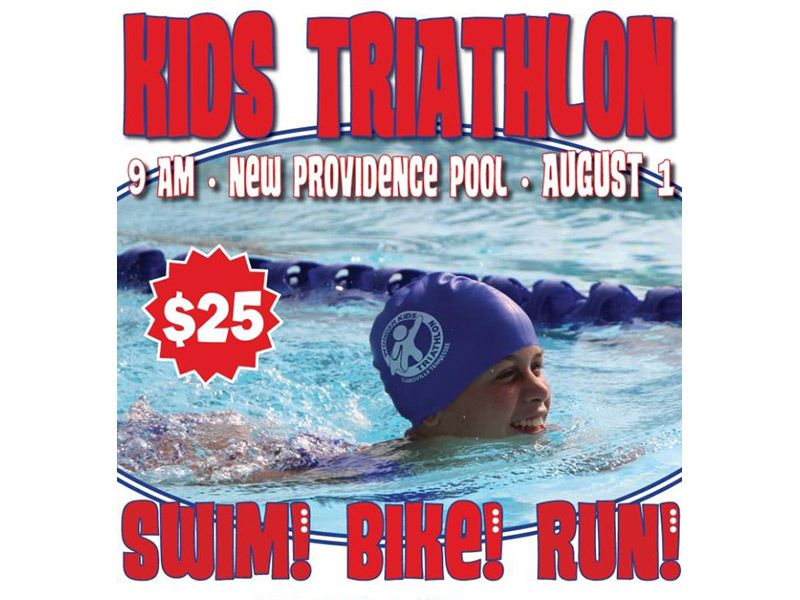 This weeks highlights include: Clarksville’s Wonder Kids Triathlon, Adult Karate, Movies in the Park, and Friends of Fort Defiance Annual Fundraising Event. 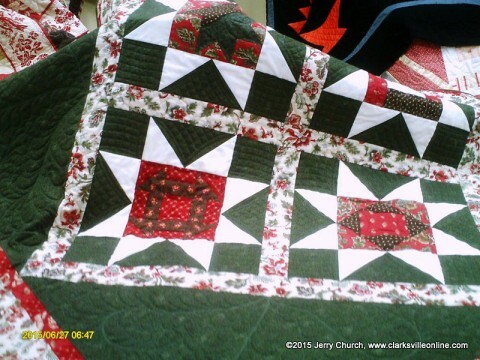 Golden Pond, KY – Land Between The Lakes National Recreation Area invites the public to attend the 8th Annual Quilt Show, April 26th-27th from 10:00am-4:00pm on Saturday, and 10:00am-3:00pm on Sunday at The Homeplace. 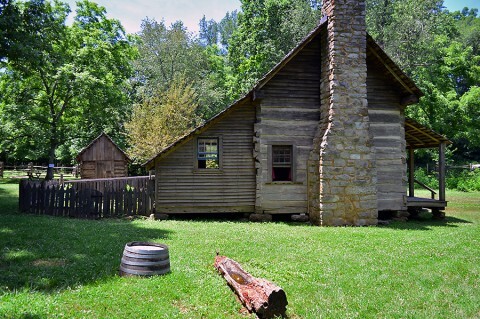 Program is included with the purchase of general admission to The Homeplace; $5.00 ages 13 & up, $3.00 ages 5-12, and free ages 4 & under. Quilt Show at Land Between the Lakes. Golden Pond, KY – Spend your Labor Day Weekend enjoying a variety of outdoor activities to celebrate the end of summer at Land Between The Lakes (LBL) National Recreation Area. Join in the fun at The Homeplace Trades Fair, Saturday, August 31st and Sunday, September 1st, from 10:00am to 4:00pm each day. 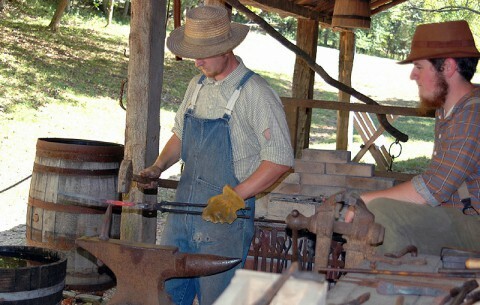 Celebrate the hard labor and hand skills of our ancestors. Clarksville, TN – The City of Clarksville Parks and Recreation Department and the Friends of Fort Defiance will host the “March to the Past” event on Saturday, June 8th from 10:00am to 5:00pm and Sunday, June 9th from 1:00pm to 5:00pm at the Fort Defiance Interpretive Center, located at 120 Duncan Street. 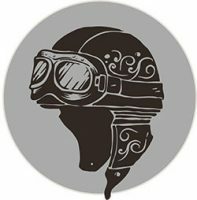 Time is running out- vote now! Guthrie, KY – As a part of its annual Heritage Days celebration, the town of Guthrie Kentucky staged a wonderful quilt show that was held at the Guthrie Senior Citizen Center; the show is always my favorite part of the Guthrie Heritage Days. I have attended this show for several years and always discover and something or someone, that is new and interesting. 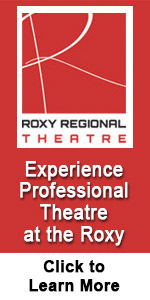 I was greeted when I arrived at the door by Helen Bellar who is the coordinator for the show. She was delighted to show me a special exhibit by Doris Kelly’s Art III class from Todd Central High School. 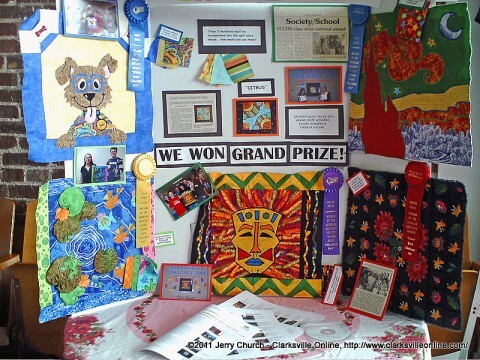 Students Cassie Hanners and Terese Rudder had created a quilt block which had won a First Prize and now resides in the Quilt Museum in Paducah. 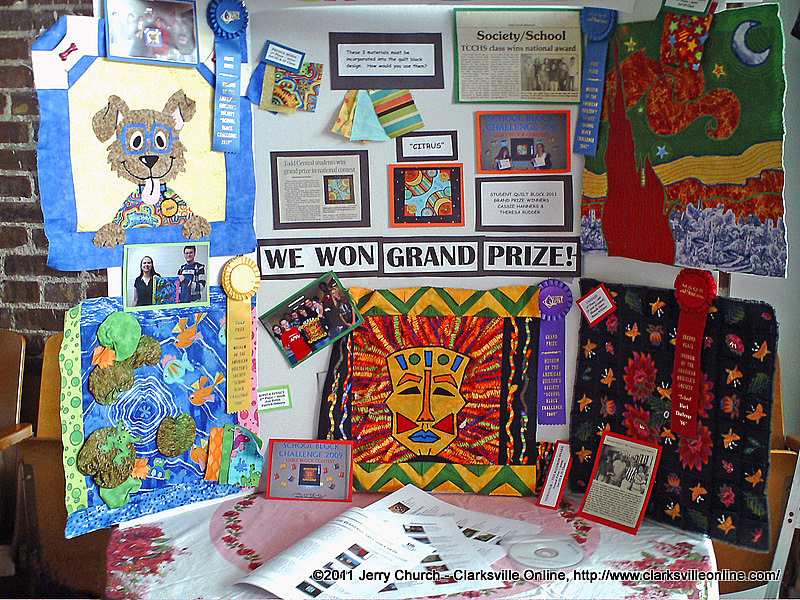 This is quite an accomplishment for high school students and is sure to be envied by many adult quilters.